Something in the news recently made me wince. 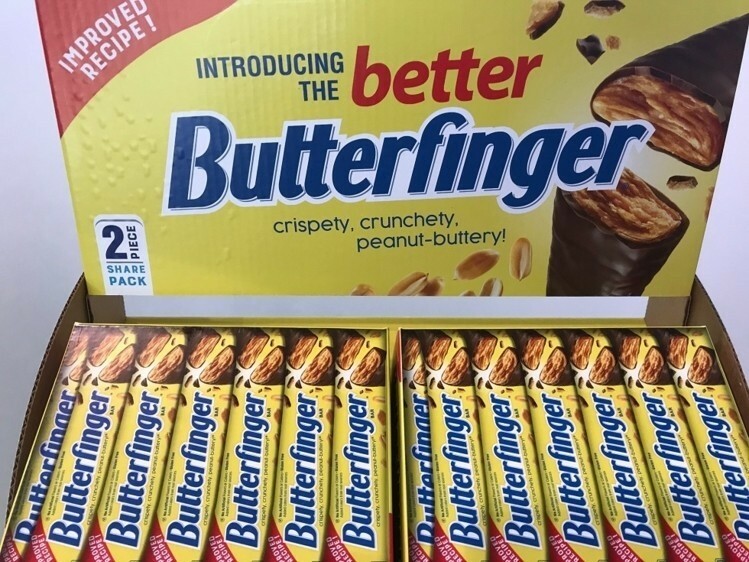 Butterfinger candy bars have switched to a “new & improved recipe.” That’s like waving goodbye as the Titanic sets sail; you know it’s going to end badly. Remember 1986’s New Coke debacle? Still, Mother Powell raised me to be open-minded. So I gave Butterfinger 2.0 a try. And instantly regretted it. It was like eating cardboard. (And not particularly tasty cardboard at that.) I recommend feeding it to your dog—as punishment for soiling the rug. Tootsie Roll–1907 Admittedly, they aren’t candy bars. But they were wildly popular when they hit stores during Teddy Roosevelt’s presidency, and they’ve remained so ever since. 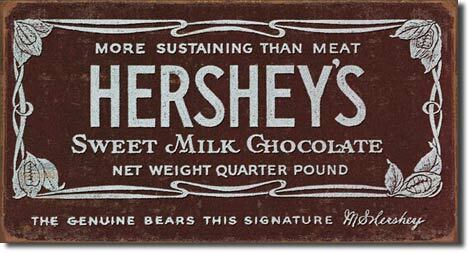 They proved Hershey’s success was no fluke, and that encouraged a new generation of confectioners. Heath Bar–1914 This toffee treat went on sale the same year the Great War broke out. And it’s still tickling taste buds today. Clark Bar–1917 Irish immigrant David Clark left his mark on American snacking with a bar that bears his name. It was so popular, Clark Bars were given to American Doughboys in World War I. Baby Ruth–1921 It started out as the Kandy Kake bar in 1920. But the Curtiss Candy Company quickly discovered few customers were willing to part with a nickel for it. So the next year they tinkered with the recipe and gave it a new name, which just happened to sound an awful lot like a very popular New York Yankees baseball player. Oh, no, the company insisted; their bar wasn’t named for Babe Ruth. It honored “Baby Ruth” Cleveland, Grover’s daughter who’d been born in the White House 30 years earlier. Few people bought the story, but they sure bought the rebranded bar. 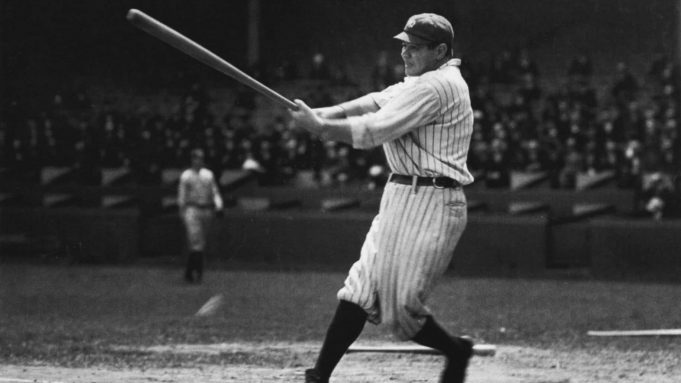 Babe Ruth kept hitting home runs, generation after generation kept eating Baby Ruths, and by the early 21st Century it finally acknowledged its link to The Bambino. Milky Way–1923 Frank Mars started selling these delicious babies in Minneapolis. The rest, as they say, is history. Butterfinger–1923 The sadly lamented original (and superior) recipe started in Chicago. Its name was the result of national competition. And get this: candy maker Curtiss promoted both Butterfinger and Baby Ruth by dropping samples on crowds from airplanes! Charleston Chew–1925 No, this perennial favorite had nothing to do with Charleston, South Carolina. Produced outside Boston, its maker wanted to piggyback on something popular. The Charleston dance craze was in full swing just then, so there you go. Reese’s Peanut Butter Cups–1928 H. B. Reese created the cups in the basement of his Hershey, Pennsylvania home. After he passed away in 1956, his sons merged their family business with that other famous candy maker in their hometown. Snickers–1930 You won’t believe where the Mars Company came up with this name. It honored “Snickers,” the Mars Family’s favorite racehorse. I don’t know how “Snickers” did at the track, but the Snickers bar was a winner at candy stores. 3 Musketeers–1932 The third product made by M&M Mars, it originally had three pieces in a single package: chocolate, strawberry, and vanilla. Which was how it got its name. 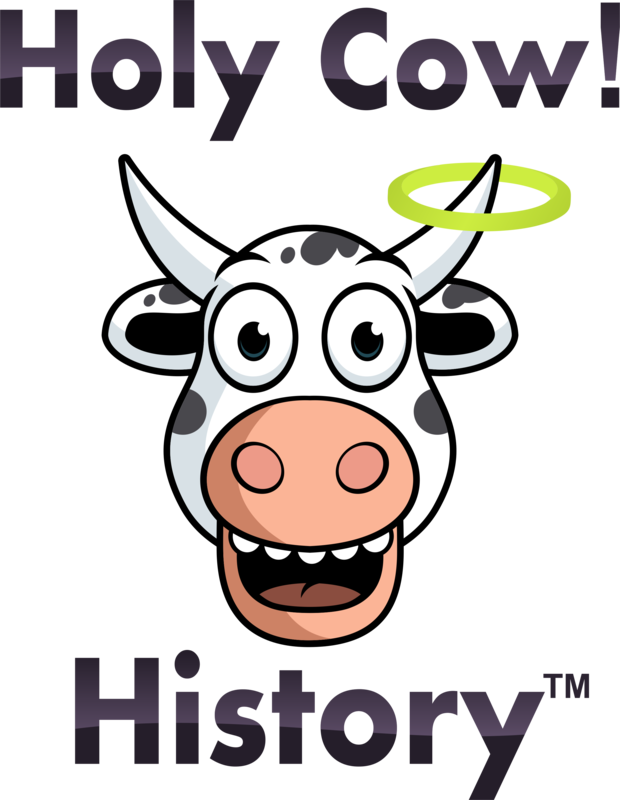 World War II shortages forced the company to make only chocolate, which it still does today. 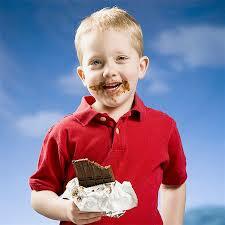 Nestle Crunch–1938 A relative new kid on the candy block at age 81, it began as a novelty bar. It proved so popular, Hershey’s came out with a similar Krackel bar in 1938 to keep up. By 1993, Crunch was Nestle’s bestseller in America. 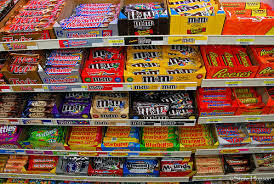 If there was a Candy Bar Hall of Fame, these products would surely be in it. Their classic tastes have stood the test of time. One bite transports us back to our childhood and beyond, to an earlier era when pleasures were simpler. Something Butterfinger’s maker would do well to remember.